The year is passing by like the wink of an eye. March began with a wonderful celebration of Literacy. We marked Dr. Seuss’ birthday with a renewed focus on literacy. Our students immersed themselves in Suessville and welcomed many community guests to read with our children. Thank you to Mr. Quinn & Mr. Quinlan for being our special guest Cat’s in the Hat’s. An additional thank you goes out to our Reading Specialist, Mrs. Hegarty and our Teachers who worked collaboratively to develop our Read Across America plan. Social media and Twitter in particular, is fast becoming an important tool in the world of education. Teachers are using it to connect with other professionals around the world to enhance their learning and break down the walls of their classrooms. Administrators are using it to enhance their leadership skills and connect with parents and other members of the school community. Stay up-to-date on the latest happenings at the Hood School! 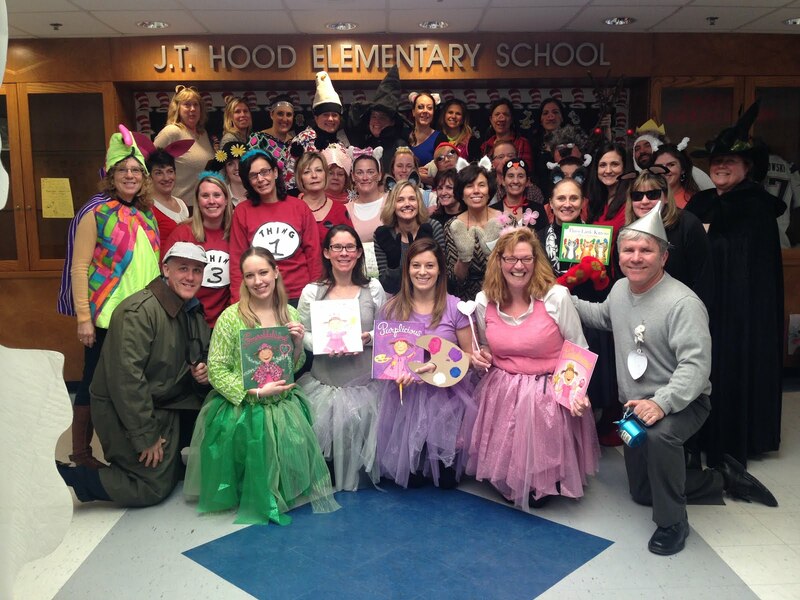 Follow the Hood School on Twitter @jthoodelemen. Our annual Fine Arts Night will be held on this Tuesday from 5:30 to 7:30 PM. Come to the Hood School to see some wonderful student performances and art exhibits. If you have not heard, our amazing physical education teacher will be running the 2015 Boston Marathon to raise money for the Tufts Medical Center. During fine arts evening a table will be staffed by three Hood School students. Jessica Simone, Isabella Conte & Lauren Feffer please stop by their table to purchase a glo stick in order to support this charity. Make sure that your children get adequate sleep. There is research-based evidence that elementary age children require 10-12 hours of sleep each night. Physical activity is a great stress release, helps children sleep better at night, and improves concentration and learning. Research indicates that children receive the most benefit from 20 minutes of sustained aerobic activity on a daily basis. A good breakfast that contains a source of protein improves concentration and learning. Healthy snacks and lunches provide the ‘fuel’ children need to sustain their efforts throughout the day. Make sure that your children arrive at school on time. It is stressful for them to arrive late and quite disruptive for the rest of the class. Lastly, Please be reminded that Wednesday, Thursday and Friday of this week will be half days for parent conferences. Student dismissal will be at 11:45.